Microsoft entered the “tablet race” with its own developed tablet computers: Surface and Surface Pro. It showed a lot of promise and was worth waiting for. However, the price tag of $630 that included keyboard was overpriced. But Windows RT had some serious issues that should have been fixed in the updates. Surface Pro turned out to meet my expectations by running more than 10000 available desktop apps on a slim yet powerful tablet computer. 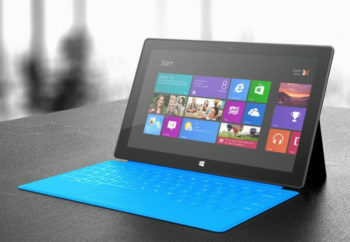 And with the release of Surface 2 Microsoft is not trying to leave a multi-million tablet market. 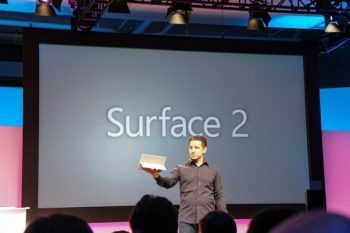 The Surface 2 has specifications and design which are close to the predecessor. Same durable case remains, but kickstand features two viewing modes. It still has a USB 3.0 with microSD slot that can extend the in-built 64/128 GB memory storage up to additional 64GB. On the inside It is hard to notice significant changes in the new tablet, it still supports full HD 1080p display with 1,366×768 pixel monitor. Nvidia tegra 4 replaces the previous Tegra 3 generation GPU. The company updated its Windows RT 8.1 operating system that includes full Office with outlook and a little bonus: unlimited international calls with Skype.On the outside some changes are evident: the tablet became a bit thinner and lighter. It handles multiple apps without any glitches. I have never had issues with Surface’s hardware but Windows operating system, which is still a tough decision to buy for $449. To sum up I would say that even fully unlimited Skype and minor upgrades are not going to make Apple users to switch to Surface 2/Pro. The problem connected with the original Surface RT tablet was connected with battery life. Indeed, it could not match the results of iPad. It lasted nearly as previous model Macbook Air 11inch, which was simply not enough for the Windows tablet. The situation changes with Intel new generation chips. They grant up to 75% longer battery life for the new Surface 2 tablet. It’s also interesting to note that the company follows same strategy to keep the fist generation of Surface RT around with the $100 discount, it will remain at stores starting at $349. Same strategy as Apple has. Finally, the new tablet will become available for pick up starting on October 22nd, simultaneously with the release of Windows 8.1 – definitely worth checkin out!